Pangkalpinang history goes along with Bangka Belitung Islands' history. 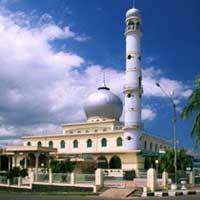 Bangka Belitung used to be one territory of Sriwijaya Kingdom, Majapahit Kingdom, Netherlands, British and Japanese. 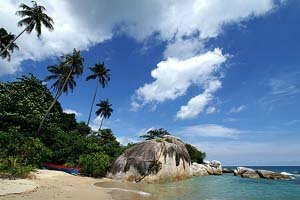 In the time of British occupancy, Bangka Belitung Islands were named as Duke of Islands. After the London Convention on August 13th, 1824, British occupancy was taken over by Netherlands causing a rebellion from Depati Barin and his son Depati Mair. This rebellion was known as Depati Amir War ended with Depati Amir lost. Depati Amir was then exciled to Air Mata village, Kupang. After that, Netherlands formed Bangka Belitung Council which was the highest autonomous government. After the Independence Proclmation of Indonesia, Faberi (Bangka Belitung and Riau Federation) was united into the Republic of Indonesia. Then Bangka Belitung territory was given back to Sumatera Selatan Governor on April 22nd, 1950 and Bangka belitung Council was dismissed. 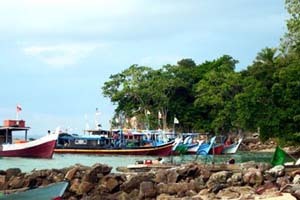 According to the law, Bangka Belitung Residency was a part of Bangka district. After that Pangkalpinang was settled down as an autonomous area until now. You'll find many beauties when you visit Pangkalpinang. 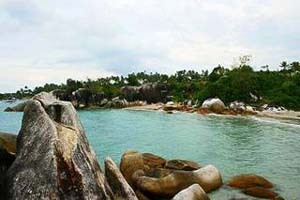 One of them is Parai Tenggiri Beach which has the blend of natural big rocks and beautiful sea-view. 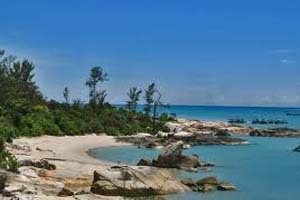 Another one is Matras Beach with its clear water sea-view and white sand along the beach line and accompanied by gorgeous trees. If you seek for beautiful sunrise, you can come to Pasir Padi Beach. If you're lucky, you can see barongsai attraction in Pangkalpinang. This event is usually held when eclipse or special events of Chinese people like Cap Go Meh and Chinese New Year. The attraction is usually held at big kelenteng (temple) like Satya Budi and Kwan Tie Miau Temple. You can go to Air Oanas Tirta Taota to enjoy the warmth of a hotspring and several rides offered in this place. 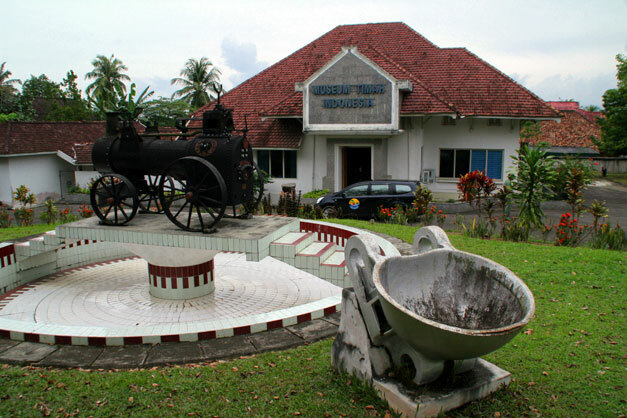 Pangkalpinang has Timah Museum, the only tin museum in Asia. In the museum you can see various collections related to tin mine. For you who want to buy some souvenir, you can go to Bangka Trade centre where you can buy handicraft of Pangkalpinang. One of them is Batik Cual, the typical fabric of Bangka Belitung. There's ikan sayur kuning. This food is made of kerisi fish, easily found in Bangka sea area, with yellow broth mixed of spices and pineapple. Terasi (condiment made from pounded and fermented shrimp or small fish) of Bangka is like no other. The uniqueness of terasi from Bangka is that this terasi is made from selected small fish and formed as big as a square bucket. You can bring back home dodol cempedak. This is taffy made of sticky cempedak fruit (a fruit similar to jackfruit).